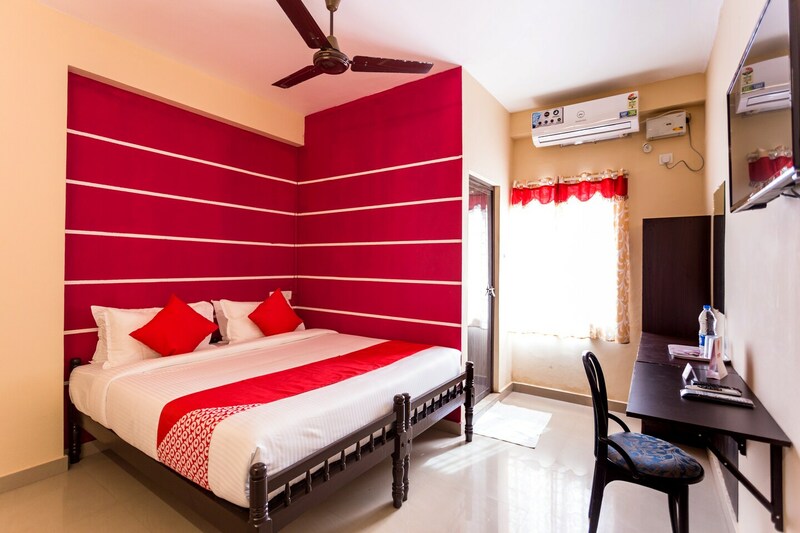 The Cochin Airport Hotel is one wonderful property that provides comfortable rooms at reasonable prices. They are decorated using elements of contemporary designs and are very attractive to look at. All rooms are well-furnished and the intelligent use of artificial lights makes them well-lit. The bright accent wall and the cushions add bursts of colour to space. The rooms have amazing pieces of furniture and the most notable one is the plush couch. The additional facilities provided by the hotel are free Wi-Fi, an uninterrupted power backup source, parking provisions, and CCTV cameras. A common lounging area has also been provided where the guests can unwind and relax after a long day at work.